Learn the art of configuring, deploying, managing and securing Windows 10 for your enterprise. Microsoft’s launch of Windows 10 is a step toward satisfying the enterprise administrator’s needs for management and user experience customization. 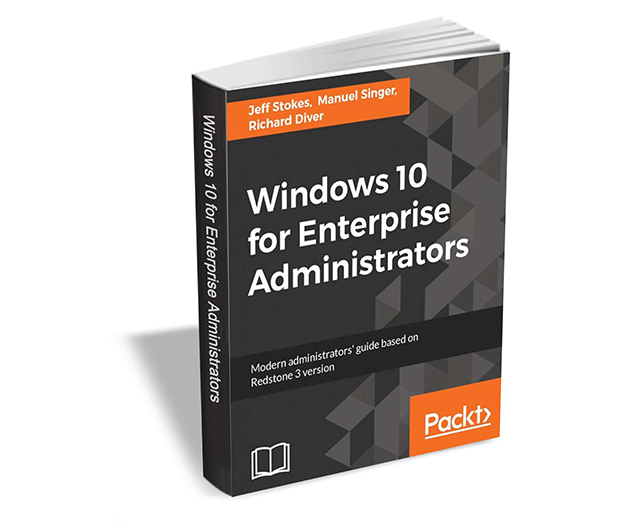 This book provides the enterprise administrator with the knowledge needed to fully utilize the advanced feature set of Windows 10 Enterprise. Windows 10 for Enterprise Administrators, usually retails for $36, but BetaNews readers can get it entirely free for a limited time. The offer expires on December 8, so act fast.